However, I do love blogging and there’s a reason why it’s called the Slice of Life CHALLENGE! I love that it is making me write daily, even though there’s so many other things to do. Here’s a tagxedo of my blog to show my love. Glad to find you here, too. Beautiful Tagxedo, Jee. They are such fun to do. You gave me a laugh with the blog, blog, blog. I feel like it’s read, comment, read, comment. Have a great week! What I love is that even amidst the blogging “To Do List” where I can hear a wee bit of anxiety, I hear even greater energy and excitement. Your passion for blogging most definitely shines through in your writing! I totally agree Jee. I have been inconsistent for the past year with my blogging and for this month of March I’m hoping to get back to the early morning routine even if midnight is a bit too early. The blogging is intense and time consuming but oh the rewards are so great. You captured the intensity. I love this post and your list of things that come in threes. I have three blogs too and it’s quite a challenge to keep them going. Your list of threes made me think of the 3’s in my life. Your word cloud is a nice touch. Thanks for sharing your slice. I am glad you are blogging. Enjoyed your post. Wow~ keep up the blogging, but don’t get blog burn-out! Blog blog blog. I enjoyed how you described the month of march. It definitely sounds busy. 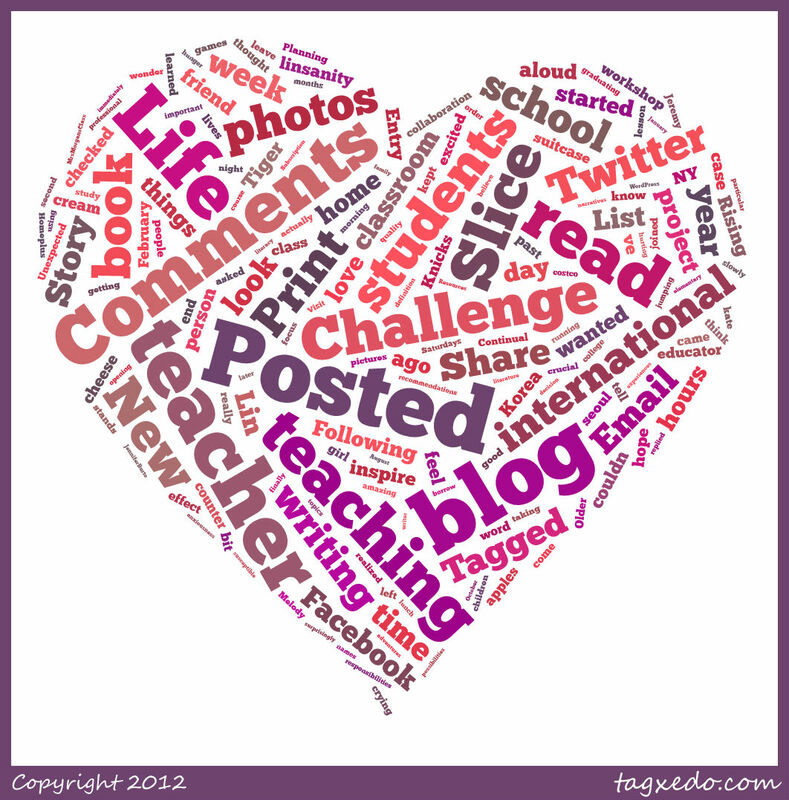 I’m loving your teaching blog and your personal one. So fun for me to read about your adventures…glad you kept this one up even when you are so busy doing the others! Good for you for having three blogs. I struggle to keep up one but I LOVE IT! I hadn’t thought about there being three places I need to post. Thanks for that. 😉 I was glad to see that eat, sleep, and teach all made the list a midst your blog, blog, blog. This sounds very much like my life also. I have trouble keeping one blog current. You have amazing dedication to have three!